Borstal Heath Wildlife Blog | Wildlife enthusiasts in the depths of the West Midlands just trying to do the right thing! 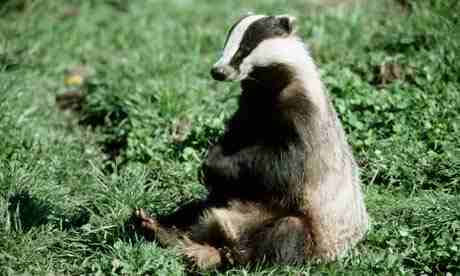 Wildlife enthusiasts in the depths of the West Midlands just trying to do the right thing! Maure Juana is our treasured Borstal Heath hippy – bless her. 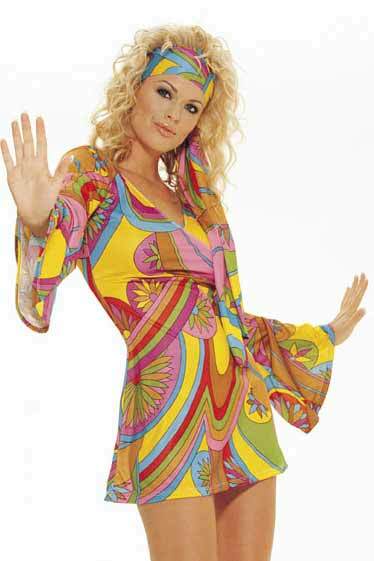 She was middle aged in the 60s but is still peddling the peace and love, even though a little hard of hearing (and not quite so eye catching in a mini these days.) At a recent meeting of the Borstal Heath Wildlife Group Annual Autumn Seance (to contact deceased and much loved BH naturalists) she was very strange, constantly talking about bio-security and draconian measure to stop importing diseases – never seen her so worked up! And that was despite her munching through quite a few of her delightful cakes she always supplies. Those cakes! We all love them and she refuses to give out the recipe but how we giggle! We got round to discussing what the BH response should be to the terrible threat of as die-back. Marie Juana was all for putting a cordon around the village and hosing down any passers by with with acid. “But that is a little harsh,” we said “probably some of the trees will survive and we can all have fun planting new ones!” “Trees did you say?” said Marie Juana. “Yes dear, Ash die-back – ash trees!” The look of relief that came over her face was worth a photograph. “I thought it was Hash die-back!” She sobbed with relief. Strange woman. There’s an awful lot of it about at the moment – people stringing nets up all over the place to catch birds and ringing them. Nothing new to us here in BH. We have been carrying out a long term ringing project on the rare bittern which inhabits the vast reed beds that surround village pond. There must be thousands in there. Each autumn we string nets up, catch them and put marked ring pulls around their chubby legs. Sadly however this year’s ringing had to come to an abrupt end when Marg C rushed into the reeds and grabbed her fishnet stockings back – she said she needed them for a barn dance in Bileston. Protest we did as one poor bittern was still stuck in them – but she paid no heed. I bet the poor thing has a headache after a night on the town trapped in Marg’s hosiery. Now this is fascinating! That very talented bug lover Paul Richards has discovered a brand new harvestman spider in Barnsley. Barnsley of all places! And would you believe it is 6″ across!!! That would have our very timid Joyce Walduck heading for the nearest stepladder. 6″ is one hell of a leggy critter. 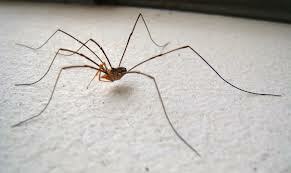 Apparently they are called harvestmen after shepherds in days gone by who used to survey their flocks on stilts. We here in Borstal Heath have been surveying our flocks of sheep like this for years. 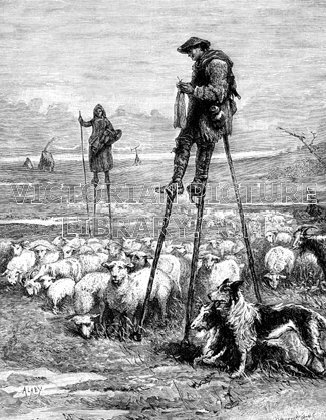 And recently, to save money on dog whistles and Pedigree Chum we have upgraded them from wood to running blades – AKA Olympics style, so we can chase the sheep too. Marvellous. Now this is very interesting! These marvellously clever scientists have found that a bird’s head colour is related to its personality (in Gouldian Finches anyway). Now really, there was no need to spend all that grant money on looking at finches for years on end – they could have simply come to BH on a Friday night. The very clever Liverpool researches found that red-headed finches are more aggressive than other colours – I’ll say! Marg C is far more likely to demonstrate aggressive behaviour (biting, head butting etc) if others try to get the attention of Barry the Barman ahead of her than say the mousey coloured Joyce Walduck. 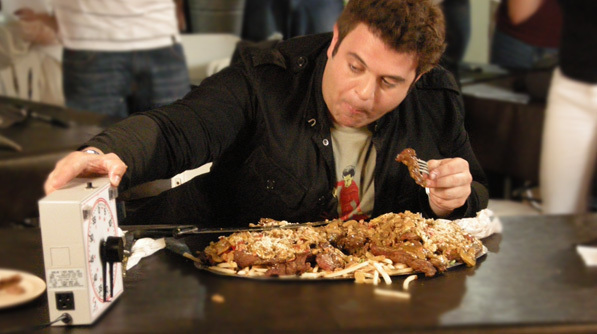 Adam Richman having a starter. The scientists also found that black headed finches were quicker to come back to a feeding station after being shown a silhouette of a bird of prey than other colours. Yes indeed! The other night we had a little joshing joke at poor Beefy Betty’s expense (she of the highly curlered black barnet). We put a cardboard cut out of Adam Richman (of the marvellous TV programme Man v Food) carrying a machete and machine gun inside the chip shop and the result was extraordinary. The cardboard cut out became hampster bedding in seconds – no food monster was going to go near Betty’s trough – no siree! We here in Borstal Heath are prepared. Not since WW2 have the defences been manned so effectively. No badger cull type person will be safe within a mile of the BH badger set, which is now concealed behind a heavy fortress in our local woodland. There are trenches, man traps and trip wires, as well as Marg Crutchley and Burt Winterbottom on site poised to fire poisoned darts. In order to make the defences even more effective our own wild animal trainer (and technical guru) Techy Terry has been training the local badgers to look out for possible government officials and to fire on them, just in case they get past the first line of anti culling paraphanalia. 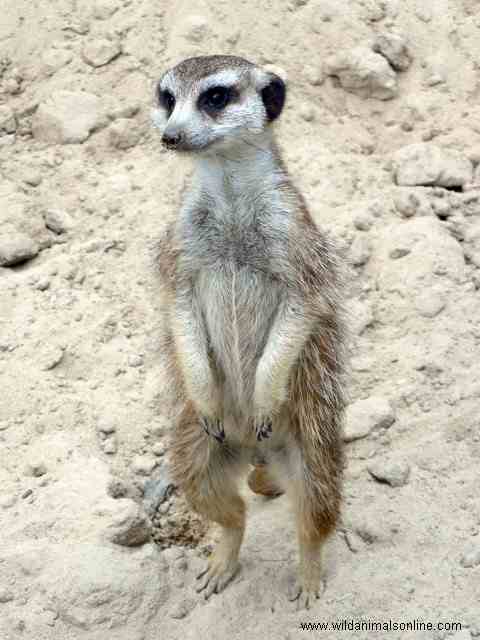 Inspired by nature TV programmes on meercats he has taught the baders to take turns to act as sentries. As you can see from the 2 photos, it is working very well. We have had one slight mishap however, when our local MP heard about our activities and went to inspect what we had installed the badger above saw his government brief case and, as trained, opened fire. The vacancy for MP for Borstal Heath will be announced imminently. The ever enthusiastic bugman Richard Jones (we all read you avidly Richard!) opened our eyes to a treasure we have here in Borstal Heath. The ruins of the fishnet stocking factory are a sad eyesore for us all. Where once a magnificent monument to commerce and good nights out proudly stood, is now nothing but a sad ruin. Tumble weed blows across the cracked concrete and disaffected youth from the Bull Ring drink 7-Ups leaning against the once ornate pillars, supporting nothing but sheets of asbestos flapping in the cold wind. But Richard, bless him, helped us realise that this is not a wasteland but a wildlife rich brown field site – a veritable safari park of treasures. The various Borstal Heath Wildlife Groups set off to uncover no end of goodies hiding in cracks. It was particularly exciting to find a rather lovely beetle we hadn’t noticed before. I wonder if Richard or others could help us identify it? 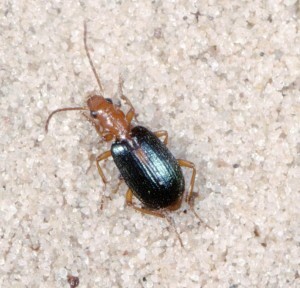 Anyway, there are thousands of them and we plan to use them in the annual Borstal Heath Blast-a-Beetle competition. We collect various little critters and assemble a pile each. The person who can shoot a beetle the furthest distance gets a prize. Last year Marg Crutchley managed to fire a stag beetle into Farmer Stan’s Port and Lemon – and he was 3 fields away milking a bull. Fine pair of lungs that woman has. Off now to start collecting them…do come along and join in and have a go yourselves, you’ll have a fun afternoon I guarantee! Many hundreds of people have asked us – including our own dear Jackdancinginthegreen in Fiji (see first post comment) – what on earth happened to the Borstal Heath corncrake chorus that used to ring out across the land? They are obviously sorely missed and so we feel we should own up to what is a terrible tale of misjudgement. 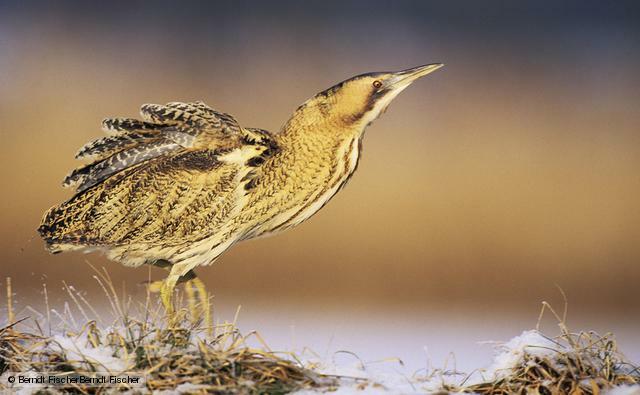 We take heart from Woody Allen who said: “if you’re not failing every now and again, its a sign you’re not doing anything very innovative.” That may well be true but in our case our innovation didn’t help the dear corncrake. The Borstal Heath Wildlife Group, normally so dedicated to the preservation of wildlife, on this occasion failed these charming little birds. They no longer croak delightfully in our fields and we have no one to blame but ourselves – and most particularly Ethel. She may look like a cross between Miss Marple and Widow Twankey but don’t be fooled – behind those round glasses are fiercely sharp eyes on the look out for any money making venture and behind that fulsome bosom is a heart of steel. Her pin up is Alan Sugar. Ethel has had a long held ambition which her meagre pension has never allowed her to fulfil. Before she dies she says she wants to follow the Chippendales around the globe. How sweet we thought – exhibiting this fine collection of furniture throughout the world. A little further investigation however revealed that it was a different sort of Chippendale that attracted her attention – but I move on. Suffice to say when Ethel has a goal NOTHING will get in the way, not even the sweet corncrake. Ethel began on a small scale, catching just a few buckets of corncrakes on the quiet and making them into tasty snacks for our visitors. 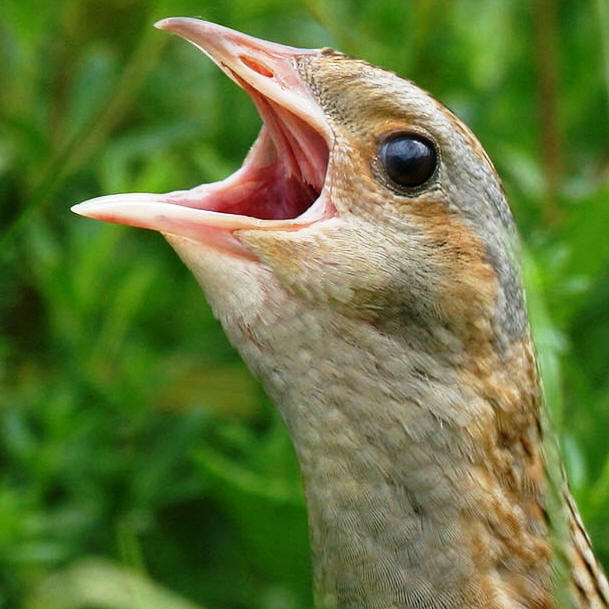 They quickly became known as the delicious Crunchy Cut Corncrakes. People didn’t realise they were actually made from corncrakes, they thought we were having a bit of a joshing joke and that they were actually made from pig fat! They were wonderful snacks – each bite burst with bucolic flavour, it was like crunching into a pastoral symphony. Lightly salted or sour cream flavour, they evoked in one’s taste buds all that is sumptuous about rural England. Church bells, wafting meadows, tinkling brooks – in one crunchy morsel. The entire village was brought in to keep the supply of corncrakes piling into Ethel’s kitchen and her enormous chip pan. We had to use the agricultural equivalent of trawl nets to keep up with demand. When our local RSPB rep found out he was incandescent! I have never seen fury like it! When he could speak without spluttering he told us that this amount of exploitation could not be sustained. But what about local tradition and indigenous rights we cried! But by then it was too late. The supply of corncrakes quickly dwindled, the crowds thinned and the croaking chorus gradually declined to a single rasp. It was all over. Oh how foolish we were! Blinded by greed and the thrill of enterprise we caused the demise of the croaker in the fields. Eagles may soar, but Stoats don't get sucked into jet engines.